Overview Biometric recognition refers to the use of distinctive physiological and behavioral character- tics (e. g. , fingerprints, face, hang geometry, iris, gait, signature), called biometric identifiers or simply biometrics, for automatically recognizing a person. Questions such as “Is this person authorized to enter the facility?”, “Is this individual entitled to access the privileged infor- tion?”, and “Did this person previously apply for a job?” are routinely asked in a variety of organizations in both public and private sectors. Because biometric identifiers cannot be easily misplaced, forged, or shared, they are considered more reliable for person recognition than traditional token- (e. g. , keys) or knowledge- (e. g. , password) based methods. Biometric recognition can provide better security, higher efficiency, and increased user convenience. 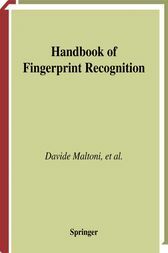 It is for these reasons that biometric systems are being either increasingly deployed or evaluated in a large number of government (e. g. , welfare disbursement, national ID card, issuing of driver’s license) and civilian (e. g. , computer network logon, automatic teller machine, cellular phone, Web access, smartcard) applications. A number of biometric technologies have been developed and several of them are being used in a variety of applications. Among these, fingerprints, face, iris, speech, and hand - ometry are the ones that are most commonly used. Each biometric has its strengths and we- nesses and the choice of a particular biometric typically depends on the requirements of an application.